Growing up in Mexico, Carla was exposed to many hardships, ones that a child should never have to see or be a part of. One thing that became clear very quickly, was that moving to Washington State was not the paradise they thought it was going to be. Many issues between her parents came to the surface, and it quickly effected their marriage, children, and Carla specifically. It’s never easy coming to a new town, let alone a new country. New language, new friends, new home; in addition to her issues at home. Carla found herself feeling alone… hurt…silenced. It was as if her voice was taken and never given back. She couldn’t reach out for the help she needed, because she couldn’t communicate that she needed help. Her family habitually hid their problems which in turn caused her to feel the need to hide hers. Carla felt alone. Carla had heard about the Center for Sharing’s (CFS) work readiness program through the Collegium Café. 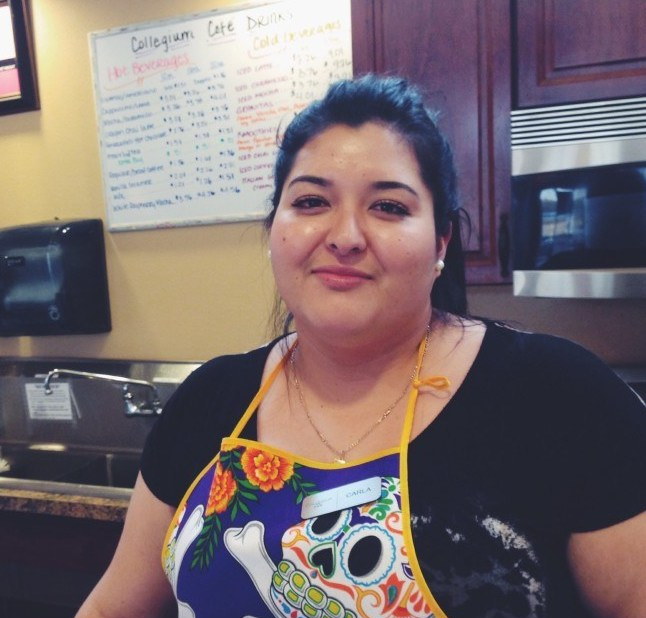 Through the encouragement of the staff and the empowering leadership at CFS, Carla began to learn many things in addition to serving customers good food, on time. The safe, accepting, atmosphere that Carla was exposed to allowed her to slowly learn that she had a voice and it was okay to ask questions. Carla began dreaming about what the future could look like for her. Through the help of CFS staff, Carla completed her CNA certification, graduated for the work readiness program and went straight to working full time as a CNA. Carla is now supporting herself independently and has a confidence to pursue her dreams.